As one of the top vocal coaches in the world, I frequently hear: “What are your top vocal tips for singers?” Well, I could rattle off a long list, and yammer on for hours. 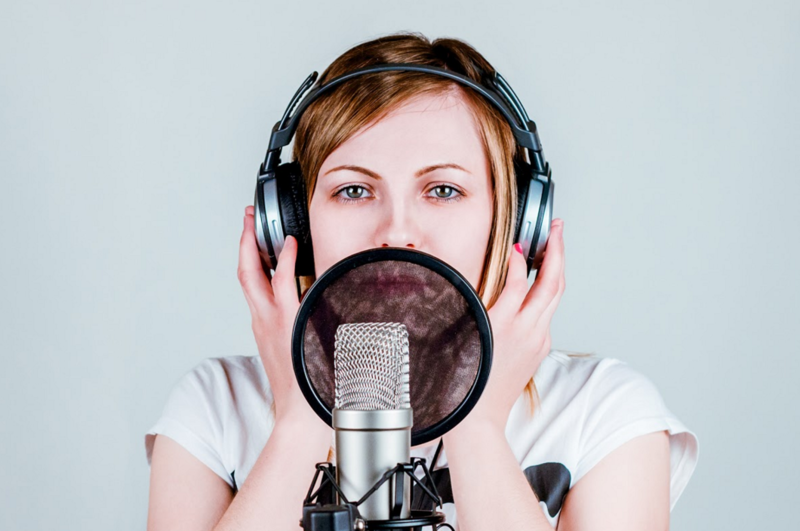 (I’m a nerd’s nerd when it comes to vocals…) And I have a long list of favorite tricks up my sleeve from more than 20 years of coaching singers… But I love a challenge – so I pretended that I had only 5 minutes to tell you my top ones and so I wracked my brain to come up with the Top 5. One of the things I am constantly teaching my private clients is that the voice is an instrument inside your body and you have to learn how to use it to get the most out of it. It’s very “physical” on the foundational level. To have a strong voice and to have vocal consistency there are certain things you have to know and do. There are some really simple methods you can use, right now, to get a great sound out of your instrument. And most singers even professionals, unless they’ve trained, don’t know this stuff. Heck, most vocal coaches don’t know this stuff. This is a quick trick that makes you sound better instantly. Say A-E-I-O-U (watch your jaw movement in the mirror). Did your jaw close on any of the vowels? Chances are your jaw closed on the E and the U – and most likely on others too, if not all of them. Take your first two fingers and pull your jaw down 2 inches (or even better – use a plastic bottle cap or a cork (wine) to prop your jaw open). And speak the vowels again. And repeat again (we’re trying to re-program muscle memory – so the more the better). Now sing the vowels on one pitch. A-E-I-O-U. Your goal is to keep your jaw open (long not wide) without closing for all of your vowels. Repeat until you can do it. Now sing a phrase of one of your songs – and make sure your jaw opens to the same position on all of your vowels. You have to practice this a bunch before it becomes natural – but the more you do, the sooner this new movement is programmed into your muscle memory. And, you might be one of those lucky ones who notice the improvement in the sound right away (it will sound louder and more resonant with less vocal strain). If you don’t – don’t sweat it – you will. It just takes a little practice. (You might have some unwanted tension in your neck, jaw and throat muscles – try loosening them up and try it again.) The next time you perform open your jaw more on your vowels — it’s a quick trick that makes you sound better instantly! The next time you sing an ascending vocal scale or you sing a high note, try thinking of the way an elevator works. A heavy weight is attached to a pulley and as the weight pulls down, the elevator actually goes up to the higher floors. So, the highest floor is reached when the weight is the heaviest. Similarly, you should think down for your high notes or think of adding weight (resistance) to your highest notes. Who doesn’t want more power without strain? This is a simple technique to apply and a bit easier than the one above. All you have to do is to keep your chin pointed slightly down and your pectorals slightly flexed (well sometimes it’s a lot flexed) when you go for more power. Most singers reach forward or lift their chin up to sing with more power. While it may temporarily work, it causes vocal problems. Tipping your chin down not only works better and saves your voice – it actually SOUNDS better! Stand in front of the good ‘ol mirror. Sing an Ah scale up and down in one phrase (1-2-3-4-3-2-1). Press your chin slightly in (point your chin towards the floor) — usually only 1” or so. Don’t let your head bob up as you raise the pitch. Keep it firmly in place. Go all the way up the scale of your voice keeping this position. Notice how your chin wants to move up as you raise your pitch. Keep it planted. This will give you more power and control and eliminate strain. Practice it until it becomes natural! Here’s a quick tip to get your vibrato working. Stand in front of a mirror; press on your chest with both hands, then, raise your chest higher than normal. Take a breath in and then exhale, but don’t drop your chest. Sing one note and hold it as long as possible with your chest raised. Press on your chest halfway through the note (press kind of hard and raise your chest to meet the pressure). Relax the back of your neck and keep your jaw open as you’re singing “ahhh.” Imagine the air spinning around in your mouth while keeping your chin tucked down a bit and your chest raised. Keep in mind, overuse of vibrato is not a good thing in contemporary singing (pop, rock, and R&B). At the same time, no vibrato is also not a good thing. So, try ending phrases with straight tone, then into a little bit of vibrato. The bottom line is to do what’s best for you. Check out this vocal program to warm up, decrease tension and free your voice. Comes with cooldowns to condition your voice post-performance. Check out these natural remedies to keep flus and colds in check. What are your favorite vocal tricks and remedies? Let’s discuss below. Here’s to better vocals! ©2017 Cari Cole, Vocal Mag, Inc. All Rights Reserved.